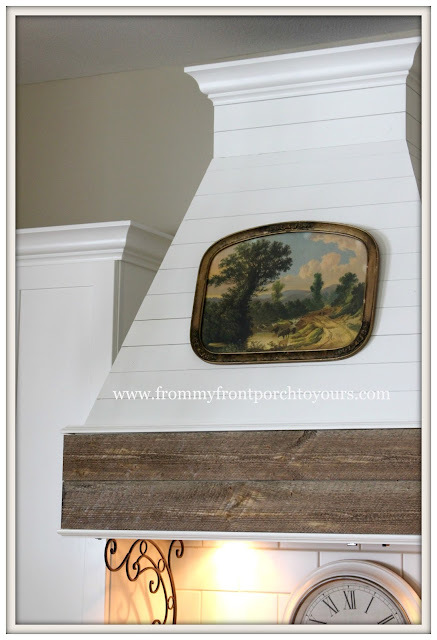 I shared last week our simple Spring fireplace mantel. 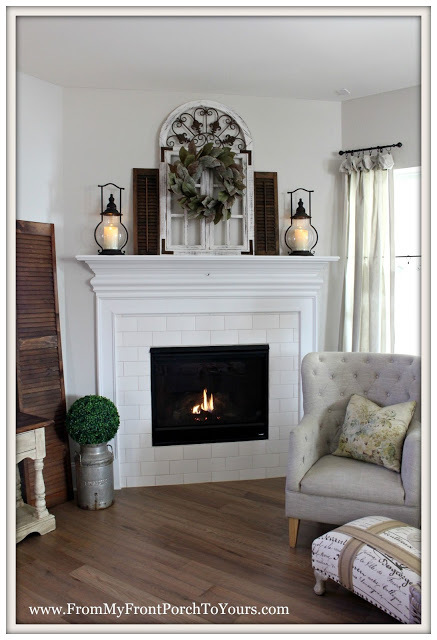 As I was editing the pics for the blog post I kept thinking in my head that it felt incomplete and how I wanted to implement some of the ideas we had tossed around these past few months concerning the fireplace. Here are a few ideas I sketched out awhile back. 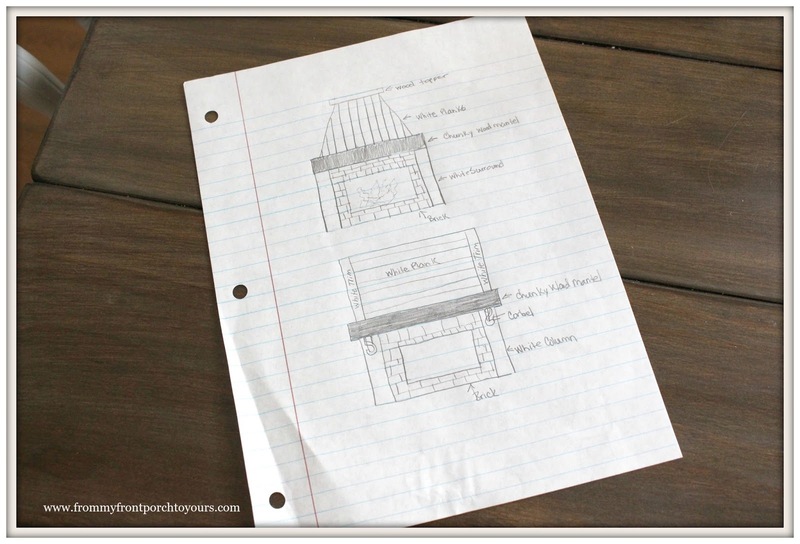 We have many projects we want to accomplish and Mr. Front Porch asked me if the fireplace was one of the projects I wanted to start on first. I thought long and hard about it and decided I had a simple fix for the fireplace because what I really wanted to start on was our kitchen. The simple fix was paint! It is amazing what paint can do. Mr. Front Porch doesn't get why I love to paint so much. You can literally transform a space with paint. All I did was dry brush on several colors and played around with them till I had a look I liked. The colors I used were SW Alabaster, SW Dorian gray and a black I had on hand. Simply painting the fireplace mantel has given it an entirely new life I think. It no longer blends into the space but demands to be seen. I love how SW Dorian Gray plays so nicely with SW Agreeable Gray. I told Mr. Front Porch that the fireplace reno project may have just moved down the list quite a bit. 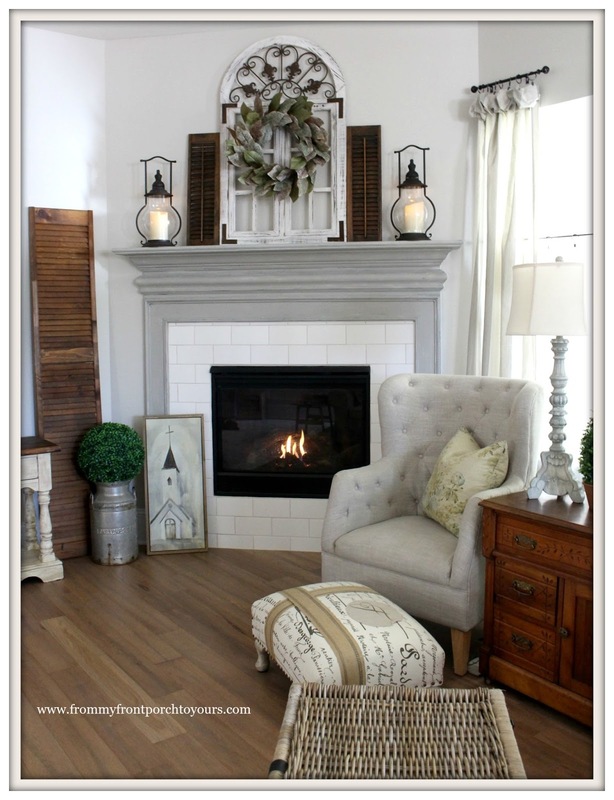 This is not the first fireplace makeover I have completed. 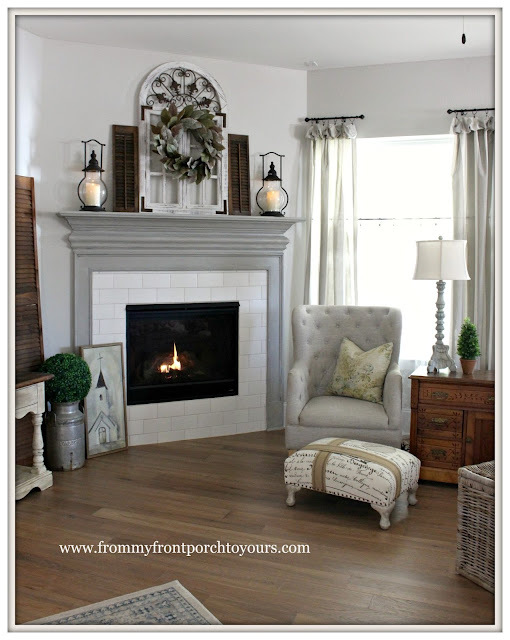 Take a peek at our last fireplace and see it's amazing transformation. Speaking of transformations here is a sneak peek at the completed range hood! I am in LOVE y'all!! This past weekend we started working on the backsplash and hopefully will have that completed this weekend. I also need to paint the upper half of the wall. Be sure to stop back by to see the reveal! Nice - both projects!! Believe it or not, I just came from the Sherwin Wms store, and had my hands on Dorian Gray, and Alabaster last week. Although neither ended up being my choices, I do like them both! Your mantel and the hood are looking good, Pamela! Thanks Rita. Alabaster actually matches the trim thru out our home and our kitchen cabinets. I had bought a sample pot of it to test out so I am glad I found a use for it. I was not so sure about the Dorian Gray at first but I made myself keep going with it and so glad I did! The fireplace looks great and oh me oh my that hood!! Thanks Kim! I can not wait get the kitchen completed. See you at WOW. Painting your mantel really did make a huge difference. It looks wonderful and your range hood is amazing! Dorian grey.🙂 Just chose that for a client's kitchen Reno. I am going to have to try it in my home. The fireplace looks like it has attitude now. But that hood though!!! Enough to make me ditch the microwave the guys luv soooo much. Pamela, both your fireplace and hood look beautiful. 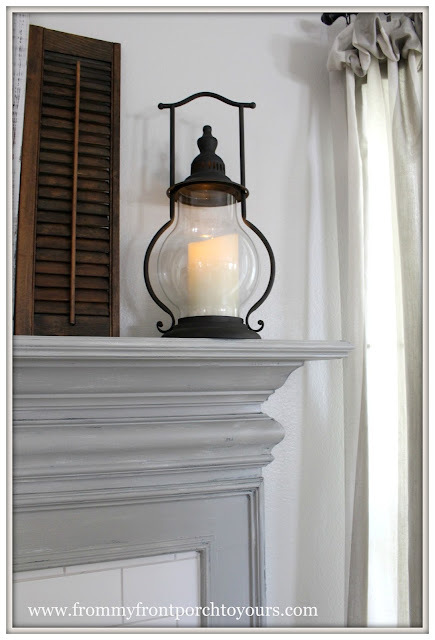 I love those pretty lanterns on your mantel. Hope that you are having a wonderful week!!! The power of paint is so awesome! 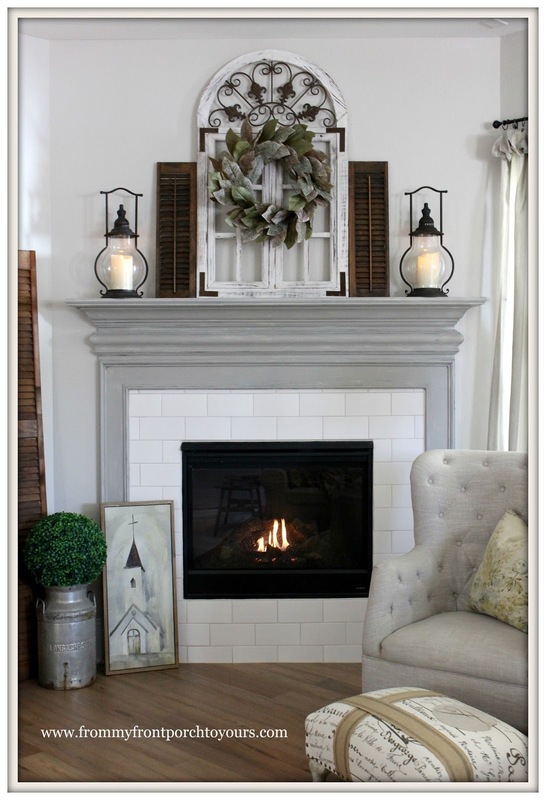 The fireplace looks wonderful painted gray! Can't wait see your new range hood! Both looks amazing Pamela! Love the colors! Hope you`re having a great week! I can't wait to see more of that kitchen hood...... It looks gorgeous. Painting the fireplace made a world of difference! I am looking forward to seeing more of your kitchen! 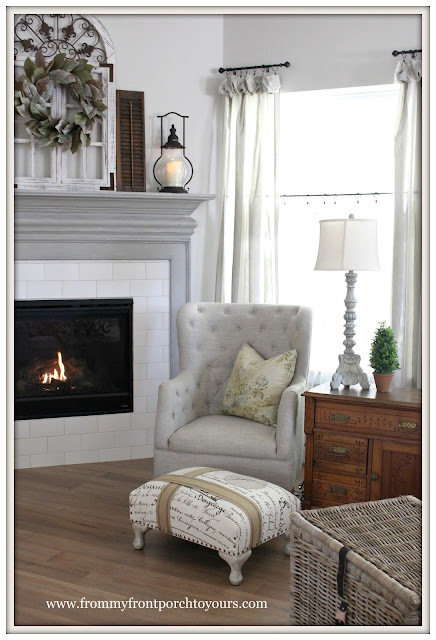 Love the fireplace Pamela...you indeed do a fantastic job!...and LOVE the sneak peek of the hood!!! The fireplace looks beautiful, Pamela! 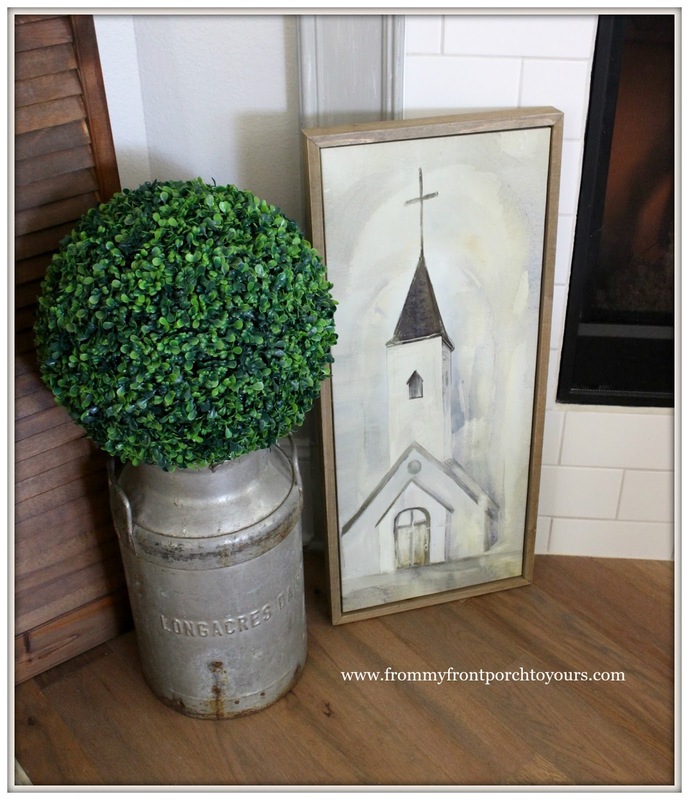 I agree, paint is one of the easiest transformations there is and can have such a huge impact. I'm liking what I see with range hood and cannot wait to see more! Have a Happy Easter and a very nice visit with your Momma!